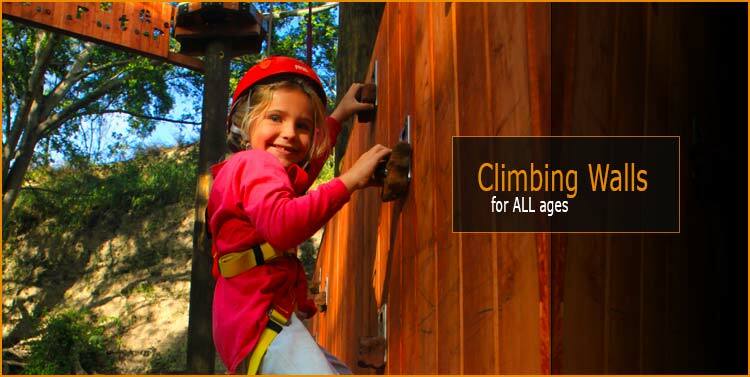 With the Zipline and Adventure Tower Package, you spend upwards of 4 hours doing things that get your blood rushing. Through our Zipline & Adventure Tower Package, you’ll tackle every inch of this structure of fun, test your very own limits, and experience Oahu in the way it was meant to be – through exhilarating thrills and high-flying excitement. Chances are, you’re going to be spending a few days enjoying your time on the Hawaiian Islands, so we think you can spare four hours of your time to embark on Oahu’s most epic adventure. Nestled in the middle of Oahu’s vast greenery is the experience of a lifetime, a towering structure ripe with adventure. Starting off your adventure through Oahu are a series of zipline rides that will open your eyes to just how truly stunning the terrain of Oahu really is. You’ll cover over a thousand feet of Oahu’s beautiful scenery, flying higher over bustling treetops and expansive plains. Stretching from 300 to over 900 ft, each leg of your zipline experience will offer different sights than the last. 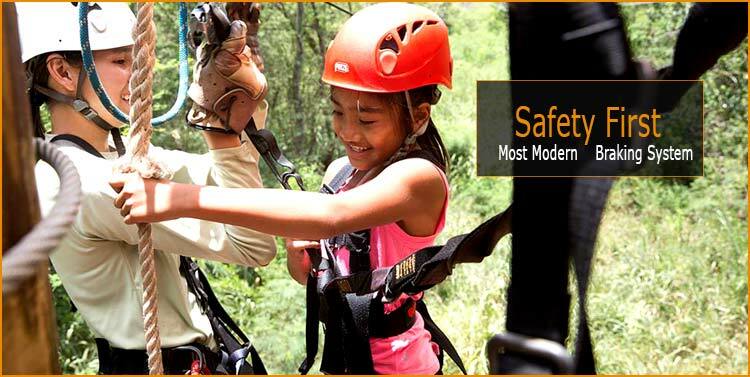 You’ll be strapped in to one of Oahu’s safest zipline harnesses, which allows you to focus more on the experience and less about regulating your speed. When it’s time to brake for the next platform, you don’t have to pry your eyes away from the beauty that surrounds you. Our rigging system will handle the more technical aspects of the ride. Simply kick back and enjoy the rush of Oahu’s tropical air before embarking on the second leg of your Zipline & Adventure Tower Package! 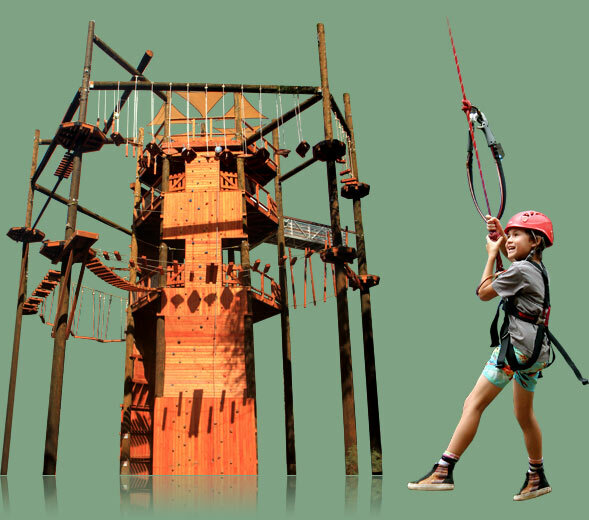 Towering as high as the island’s mightiest trees is the Adventure Tower, a wooden structure that tests your endurance while providing a series of fun activities. You’ll start on the ground level, staring up at a vertical wall climb that simply begs to be tackled. Use tips from our expert guides to get up the top where the real fun happens. 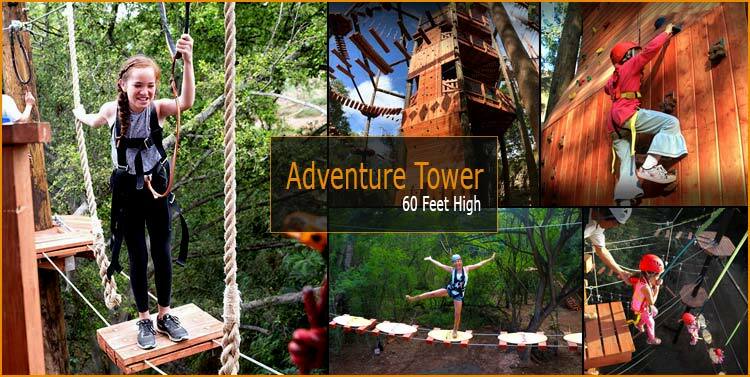 Rope bridges, spiral staircases, and rocky platforms test your balance while a 50-foot freefall and heart-pounding King Swing test just how much exhilaration you can take. In total, this “tree house of thrills” is made up of 18 different challenges, each one testing anything from your endurance to your balance. All while safely strapped into the Adventure Tower’s rigging, you’ll engage a multitude of exciting activities that all overlook the beauty of Oahu. When you get to the very top, afford yourself the opportunity to just glance out at the wilds of Oahu around you. It’s an unbelievable sight that you shouldn’t miss. Lots of parking and Food trucks.